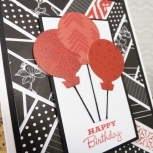 Here is a fun and colourful handmade birthday card with envelope. 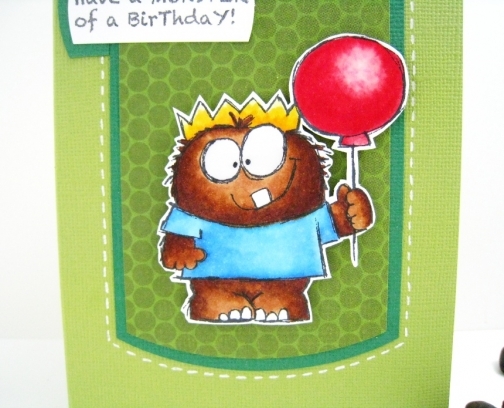 The little monster was coloured by me and is set on a green background with the sentiment, "Have a monster of a birthday!" I love this little monster, he makes a great card!